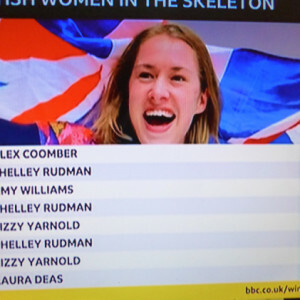 Oh dear - I can't resist a mighty congratulations to Lizzy Yarnold (extra) who rode a blistering fourth heat in the skeleton to repeat her gold from Sochi - also to Laura Deas who took the Bronze. Earlier on, Isabel Atkin took Bronze in the freestyle skiing event. So well done those British women!